Earlier this year the government announced a change to the NHS constitution to allow anonymised patient data to be made available for research purposes. Rebecca Aris shares what this will mean for patients, following a discussion at a recent breakfast meeting on the subject hosted by IMS. The UK government announced this year that there will be a change to the NHS constitution to allow anonymised patient data to be made available for research purposes. But what does this mean for UK pharma and for the patient? A recent breakfast meeting, hosted by IMS, addressed this issue and bought together an expert panel of speakers with leading industry figures and general managers from UK pharmaceutical firms for a discussion on the key issues facing the pharma industry. This article details the points discussed. The announcement by British Prime Minister David Cameron on August 1st said that the Government wanted both scientists and researchers to be able to use NHS patients’ data to aid drug discovery on a scale never seen before. “The UK is going to be the world leader when it comes to making this kind of data available and we’re going to do this by harnessing the incredible data collected by our National Health Service,” explained Cameron. What benefits does this bring? Increasing the availability of real-world data brings a wealth of benefits to drug discovery and, therefore, patients. • Add more into our understanding of treatment outcomes by being able to consider all of the patient’s medical history. • Learn more about the outcomes of drugs used accidentally in first trimester of pregnancy, which we wouldn’t be able to find in clinical trials. • Learn more about the outcomes of the use of drugs in children, which we wouldn’t be able to find in clinical trials. • Optimise clinical trial designs to recruit more intelligently and get medicines as fast as possible to markets – drugs could be licensed 1–2 years before they currently are. o Patients lost to follow up. o Patients who are not fully compliant. As Ian Sample recently highlighted in the Guardian, ‘Studies of NHS records first revealed the dangers of thalidomide, established an association between power lines and childhood leukaemia, showed autism had nothing to do with the MMR vaccine, and more recently highlighted England’s poor cancer survival rates, a problem that lay mostly in late diagnosis.’ The potential to identify trends in patients is therefore huge and will impact enormously on treatment decisions. • to establish an integrated clinical trials infrastructure between the major academic centres in Scotland and their associated managed clinical networks. • to increase recruitment to all clinical trials throughout Scotland. Through its work it has reduced the number of amputations in diabetic patients by an approximate 40%. In addition, laser eye surgery has been reduced by an estimated 43%, which is astounding. To put that into context, the English population is approximately nine times that of Scotland, thus enabling research on a far wider range of diseases and rare outcomes once implemented in England. In this respect all four nations will be working in a highly collaborative manner. Public and patient attitudes: the public have a range of views on sharing patient data but generally there is a low level of awareness of the decision to make patient data available and how it will be used. But of those that are aware, 70–80% of those who understand the decision are happy with it. Media messages have, in some cases, been focusing on the wealth benefits to pharma as opposed to the health benefits to patients. Communication around the decision is key, and highlighting the benefit to patients is essential. A recent information leaflet for patient, coordinated by UKCRC, intends to communicate the message to patients. Attitudes of HCPs: what isn’t clear is how GPs perceive the decision to mobilise anonymised patient data. Physicians that aren’t engaged will prove to be a real stumbling block . Complexity of such huge amounts of data: the quality of data is really important as will be how it is managed. Pancreatic cancer is, for example, poorly recorded in primary care, due to rapid onset of disease. Data needs to be recorded consistently throughout surgeries to make it comparable. In addition, the data need to be linked correctly to maximise benefit. Last year the government announced the Clinical Practice Research Datalink (CPRD), which was set up to unlock the potential of NHS data research. 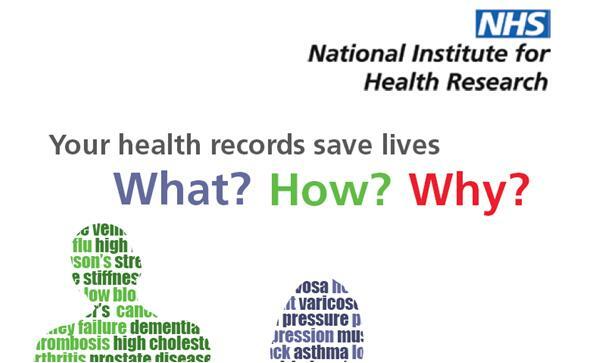 The CPRD is a new NHS observational data and interventional research service and is jointly funded by the NHS National Institute for Health Research (NIHR) and the Medicines and Healthcare products Regulatory Agency (MHRA). The services of the CPRD are designed to maximise the way anonymised NHS data can be linked to allow observational research and deliver research outputs that are beneficial to improving and safeguarding public health. With this system, and UK data far exceeding that of many other countries, the UK is in a good position to use patient data to improve health outcomes. What can we do to further this? • Fully understand what types of data will become available. • Ask GPs whether they are making their data available in an anonymised fashion for societal benefit. • Understand the concerns of those who doubt the decision. Underpinning all of these is the fact that communicating the health benefits of this decision is key. Patients need to fully understand the health benefits and be actively on board with the decision before full benefits can be seen. 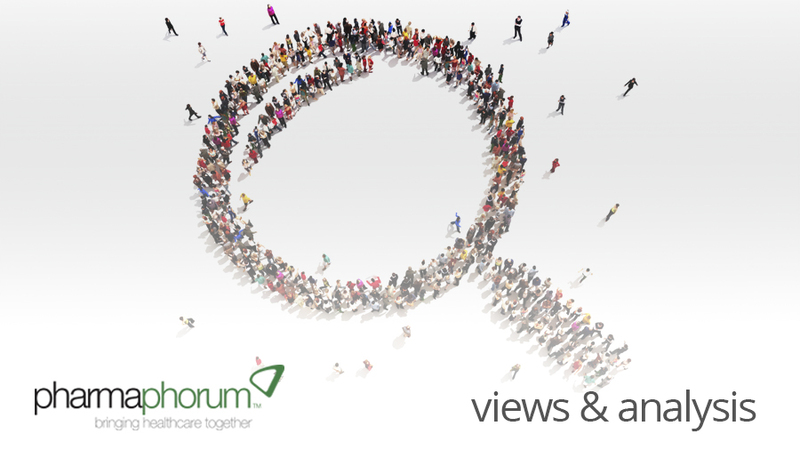 How can the health benefits of mobilising anonymised patient data be communicated?